Reported target Kamil Grosicki appears to be staying at Hull. Middlesbrough are running out of time to find a new winger, with reported targets seemingly set for moves elsewhere. 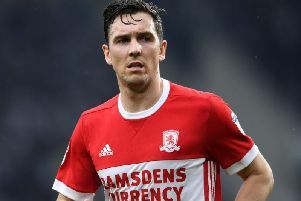 Boro boss Tony Pulis has stressed throughout the transfer window he wants to add more pace and width to his squad, yet attempts to do so appear to have stalled. Boro had also shown interest in Newcastle winger Jacob Murphy, yet, according to Sky Sports the 23-year-old is undergoing a medical at West Brom. Reports had also surfaced that Boro were considering loan offers for summer target Yannick Bolasie from Everton and former winger Adama Traore. But while it was always a long shot to land Traore from Wolves, Bolasie is now being tracked by Belgian side Anderlecht. Belgium journalist Kristof Terreur has claimed Anderlecht are hoping to sign Bolasie on loan, following positive reviews from his good friend Romelu Lukaku. The aforementioned reports will only add to the frustration on Teesside. So far this window, Boro have signed Huddersfield winger Rajiv van La Parra on loan and former Chelsea midfielder John Obi Mikel, yet it is thought more is needed to gain promotion from the Championahip. Meanwhile Boro youngsters Sam Stubbs and Hayden Coulson have left the club on loan, joining Notts County and Cambridge respectively.